It was the stuff that crowdfunding dreams are made of. Motormood, a quirky car gadget that affixes to rear windows so drivers can express gratitude on-the-go, had raised more than $117,000 on Kickstarter in just over a month. That figure is nothing to sneeze at, especially given the fact that the average successful Kickstarter campaign raises around $8,000. 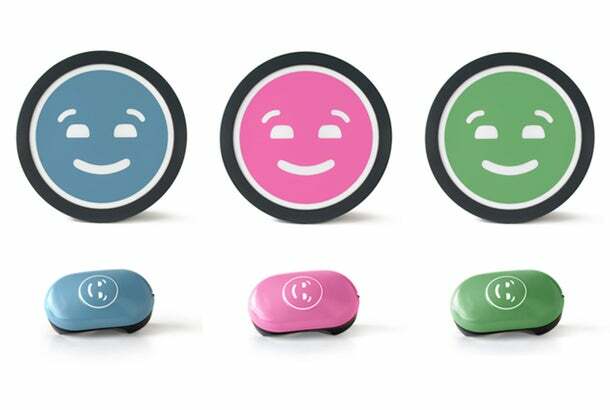 And Motormood isn’t exactly a groundbreaking gadget: the remote-controlled device simply causes a smiley face (or winky face) to illuminate for six seconds, amounting to the opposite of a horn honk. Behind the scenes, insanity was brewing, says Motormood’s 29-year-old co-founder and president, Jesse Kramer -- who was also balancing a nine-to-five job as a UX and UI designer at the time. As donations and web traffic poured in, which he attributes to a spate of buzzy press, the company was presented with two offers that forced it to completely rethink its launch strategy. The first was from a direct-marketing company, which sought a licensing deal. It proposed to produce infomercials for Motormood and cover all manufacturing, distribution and advertising costs -- kicking back a 7.5 percent royalty fee to Kramer and co. The second offer turned out to be far more tantalizing. It came in the form of an investment by the Canadian entrepreneur Jon Shell, who had been developing his own Motormood-like product called “ThanksBuddy” on and off for roughly a decade. Shell is the founder of Vet Strategy, a network of veterinary hospitals -- though he sold the majority of his shares to a private equity firm last year. He had been in touch with the Motormood team in an informal capacity for about a year, and finally decided to put his money where his mouth was once the Kickstarter campaign blew up. Though Motormood would only note Shell’s investment was less than $1 million, Kina de Santis, Motormood’s co-founder and director of marketing, said the funds made it well worth relinquishing some equity. Shell, whom the team calls an honorary co-founder, also plays a highly engaged advisory role in realms like international distribution, marketing, business development and deal making. And what ultimately sealed the deal in terms of cancelling the campaign, de Santis says, were the fees Kickstarter charges successful startups: 5 percent of all funds raised. Stripe, the site’s payment processor, also takes a 3 to 5 percent cut. Though the team knew this going in, opting for the investment softened the blow. Of course, cancelling a campaign, especially one of Motormood’s scope, runs the risk of alienating early supporters. Despite some disgruntled commenters, some of whom complained that the company did not provide “enough context for the switch,” de Santis says they had little difficulty redirecting the campaign’s 742 backers to its own website. There, the product -- now priced at $24.99 up from about $20 -- is being shipped within the same time frame as promised on Kickstarter. The seed round also enabled the team to make some critical improvements to the first iteration of Motormood, including a larger display, a better mechanism for switching out overlays, different tech to communicate between the remote control and the device, and an optimized light guide for brighter colors and sharper contrast. Color options from the Classics collection. Now, the team is trying to determine what future Motormoods might look like -- a rather opportunistic proposition as emoji fervor reaches a fever pitch. At this year’s South by Southwest, Motormood will unveil a new product line called Carmoji. These yellow overlays will comprise original designs but are more similar to the mobile emojis we all know and love. Motormood consulted data about the most popularly used emojis on Twitter, as well as feedback from Kickstarter commenters, and is rolling out new designs accordingly, Kramer said. Initial Carmojis will include more smiley faces, a thumbs up sign, a peace symbol and a waving hand. The existing Motormoods, including smiley and winky faces in blue, green and pink, have been rebranded as the company’s ‘Classics’ collection. Motormood ultimately envisions offering 10 different overlays in both categories. But no matter how it expands in the future -- the company ultimately envisions licensing characters from movies as well -- it has made one unassailable vow: to always focus on spreading highway cheer. Tempting though it may be -- what with the recent release of a middle finger emoji and the gleeful ubiquity of the pile of poop -- “Everything we’re doing is and always will be positive,” di Santis says.